I love audio stories and my children do as well. Over the years I've shared many wonderful classics with them by audio book or drama. When I heard about the Brinkman Adventures series I was really excited to hear their new adventure called The Brinkman Adventures: Season 3. The Brinkman Adventures were created by Ian Bultman. He was on a personal trip and became convicted to spread the world of the Lord after reading Luke 8:16-18. An idea came to him to create a radio show for families all about missions. In the hopes that children hearts would be turned towards missions. The story is based on his family, although their names have been changed. 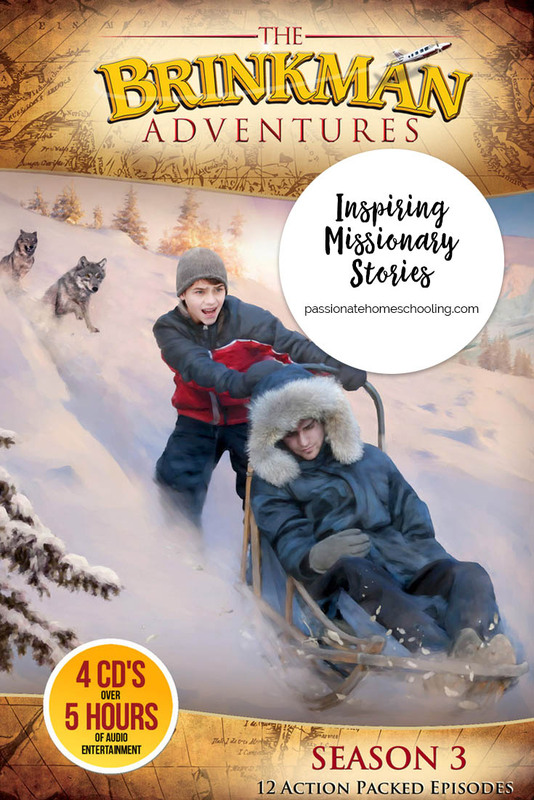 The adventures also use real stories from other missionary's. They bring these stories to life and hold your interest. The Brinkman Adventures season 3 is available as a 3 CD pack or as an MP3 download. I received the MP3 download version. Season 3 contains 12 episodes for a over 5 hours playing time. One of my favourite stories is the very first one God's Mule. It's the story about a man named Thomas, this is not his real name. It's been changed to keep his identity safe. Thomas had a rich father who sent him to College to learn about business. When Thomas was at college he felt that God was calling him to be a missionary to the nations. Thomas left school and before leaving for the mission field he called his father who was very angry at him and disowned him. Thomas spent years serving with an older missionary man before asking God to help him do something impossible. God called him to bring bibles to a country where they were not allowed. To make it harder God asked him to bring 300 bibles! I won’t spoil the rest of the story but it's wonderful to listen to. We've been listening to the stories at different times of the day. I like to play them while I'm getting meals ready or during chore time. They also make great stories to listen to in the car! Some of the stories could be a little scary for young children, such as the episode “Man Up”. So it might be best to listen to the stories ahead of time if you have young children. One thing that I just love is that for every episode Brinkman Adventures has a story on their website that gives you more information. This can be a short bio and information about real missionaries and it also tells you if their identity was changed to keep them safe. The Brinkman Adventures have become one of my favourite audio dramas! We have enjoyed them so much that I’m planning to add season 1 and 2 to our collection. There are so many ways these audios could be used. You could enjoy them as part of your bible study or circle time. You can save them for listening to in the car, or during chore time. You could also use many of them as a starting point for a country and culture study. Would you like to hear some of the stories? Visit The Brinkman Adventures to listen to sample stories!